Bring the excitement of Carnivale to your event with our professional Samba Troupe who create the atmosphere of Rio with their high energy dance moves and beautiful costumes. From Full Show girl attire to more conservative costumes our dancers will have your feet moving to the rhythms of Copacabana. The troupe can come with drummers as well as perform a dinner show or pose for photos. 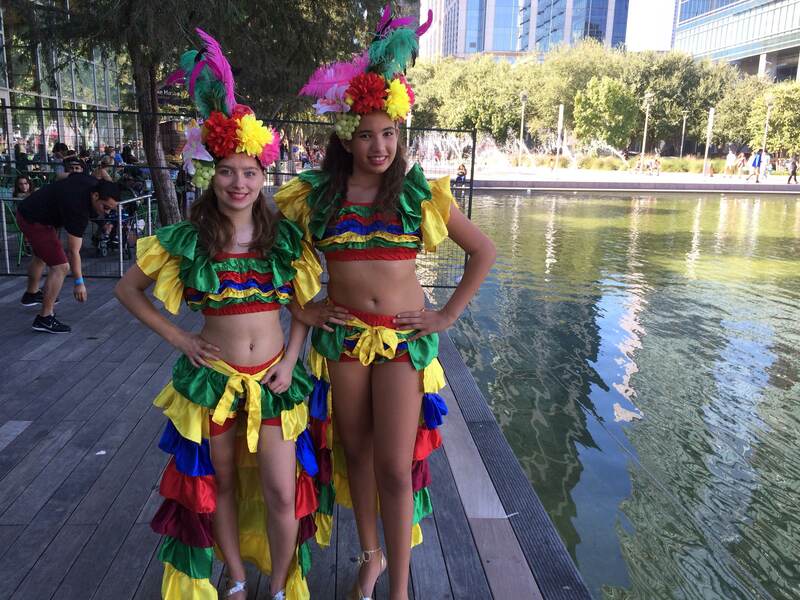 Invite a Samba Crew to your event to create your own Copacabana!